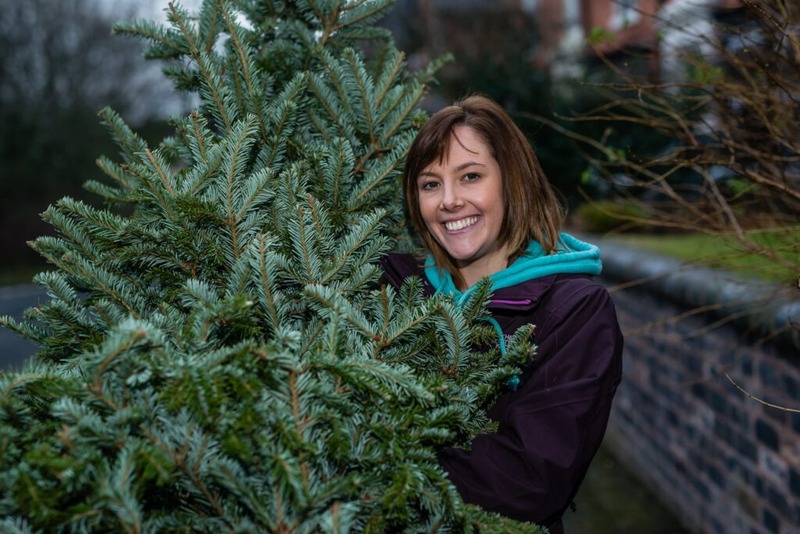 Birmingham and Solihull’s biggest Christmas ‘Treecyling’ scheme is back, offering Brummies an easy way to get rid of their festive fir this January. 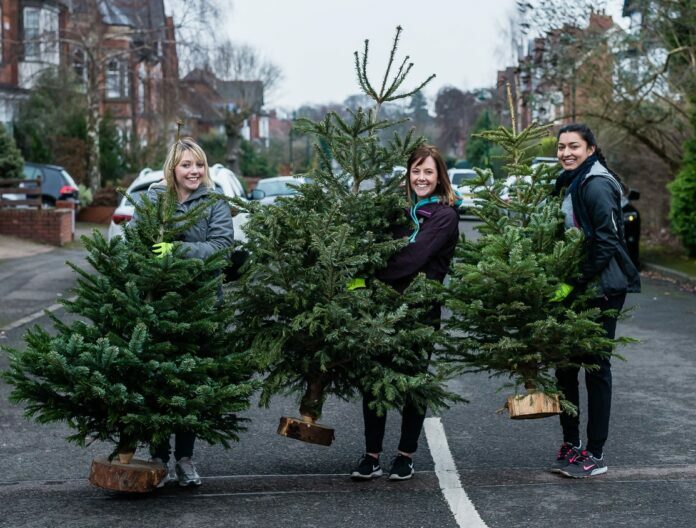 The scheme run by Birmingham St Mary’s Hospice takes the hassle out of recycling your Christmas tree by picking it up straight from your doorstep. The Hospice’s ‘Treecycling’ campaign will see volunteers collect thousands of used Christmas trees from across the city, in return for a donation to the charity. Using a fleet of vans and generous volunteers, the local Hospice will be picking up real trees from a range of postcodes across Birmingham and Solihull, which will then be recycled into compost and biomass fuel. The initiative – which takes place on Saturday 12 and Sunday 13 January is the biggest of its kind in Birmingham, with an estimated 3,500 trees being collected over the weekend. It is now in its eighth year and has so far raised an impressive £134k for the charity. Sue McNally, who has volunteered for Treecycling for three years, said: “I always have so much fun when volunteering for Treecycling. There’s a real team spirit and I love it when everyone comes together before the collection to hear their morning briefing and tuck into breakfast sandwiches. All funds raised from Treecycling will go towards Birmingham St Mary’s Hospice, which provides vital care to local people and their families who are living with life-limiting illness. 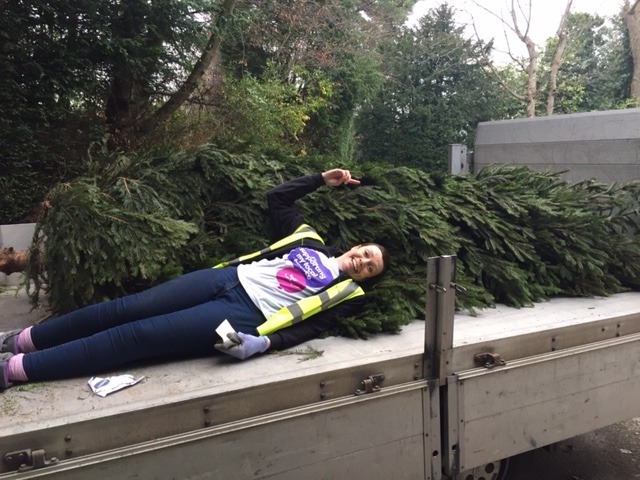 Charlotte Dowling, community fundraising manager at the Hospice, said: “We know that getting rid of your tree can feel like a post-Christmas chore, which is why our brilliant team of volunteers will pick it up from your doorstep. It makes recycling your tree really simple – saving you time and hassle from taking it to the tip instead. Treecycling has a number of corporate partners supporting the initiative, including civil engineering firm Fitzgerald Contractors and construction, development and property services company, Wates. The recycling scheme is part of the Hospice’s ‘Care at Christmas’ campaign – a festive appeal which aims to boost support for the charity leading up to and over the Christmas period. It will cost £22,000 to run the Hospice on Christmas Day so every penny raised will enable vital care, compassion and comfort to be available to more people and their loved ones, whenever and wherever they need it.